Medical cannabis and CBD oil is becoming more popular because of its beneficial applications, including treating epilepsy, pain, anxiety, inflammation, insomnia, depression, nausea, skin conditions, and even cancer. Recently, it has been discovered that cannabis can be an effective treatment for Lyme disease. Cannabidiol, or CBD, is the non-psychoactive component of the marijuana plant (Cannabis sativa) that has medicinal uses. Lyme disease is a tick-borne illness that results in rashes, chills, head and body aches, and nausea. It is contracted by walking in meadows or wooded areas and coming into contact with deer ticks. If the deer tick latches on and bites, you won’t necessarily know it’s even there because the tick injects a numbing agent that prevents its victims from feeling that the tick is drawing blood. Contracting the disease is less likely if the tick is detached from the skin within the first 36 hours. Lyme disease requires treatment with antibiotics. If left unattended, it could escalate into chronic joint pain and possibly meningitis. Doctors tend to prefer pharmaceutical treatment for Lyme disease. However, several studies have found that cannabis can be included as a viable treatment option. Cannabis has been shown in one study (by Dr Ernie Murakami of British Columbia) to eradicate traces of spirochetes – one of the main causes of Lyme disease. Researchers point to strong antibacterial potential of cannabinoids including CBC, THC, and CBD. CBD has also been well regarded for its anti-inflammatory and anticonvulsant properties. Outside of research, first-hand accounts of cures from Lyme disease sufferers reveal the efficacy of CBD as treatment. Some reported using high-CBD strains as a medication to replace other anti-inflammatory drugs. Marijuana contains 483 phytocannabanoids. These are naturally occurring compounds that affect many body processes such as sleep, mood, energy, and appetite. Most people are familiar with tetrahydrocannabinol (THC) as a way to get high, but are less familiar with CBD oils. CBD oil is often made from hemp (a plant closely related to marijuana) is often seen as an effective option for healing CBD won’t get you high, because of the low concentrations of THC found in it (less than 0.3%). There are two strains of cannabis: indica and sativa. Indica is used for pain relief but is sedating, so it is best used at night. Sativa is energizing, and is better suited for daytime use. If Lyme disease is causing pain, use CBDs in the form of hemp oil during the day. In the evening, take a marijuana extract with equal parts THC and CBD for powerful pain-relieving effects. For sleep, take a THC-dominant indica strain for its sedating effects as well as increasing the time spent in deeper stages of sleep. 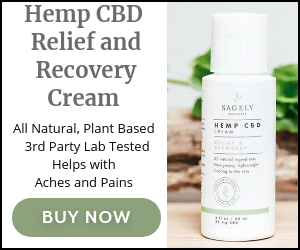 Both hemp-derived CBD and marijuana are available as tinctures that you can ingest, or balms you can apply topically to relieve pain. Ultimately, there simply isn’t enough research to say conclusively that Lyme disease could be cured using CBD oil or other forms of cannabis (including smoking marijuana). Current research supports CBD oil as a complementary form of treatment rather than a replacement treatment. The best approach is to use CBD oil in conjunction with antibiotics as a way to support the body’s natural healing mechanisms while still protecting yourself from the dangerous effects of Lyme disease.